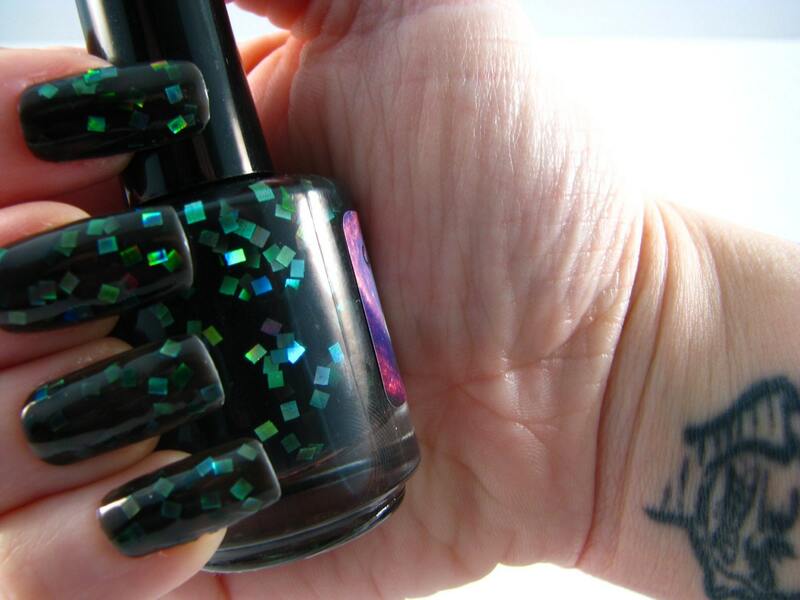 With this polish, you'll be the envy of every creeper in the village! 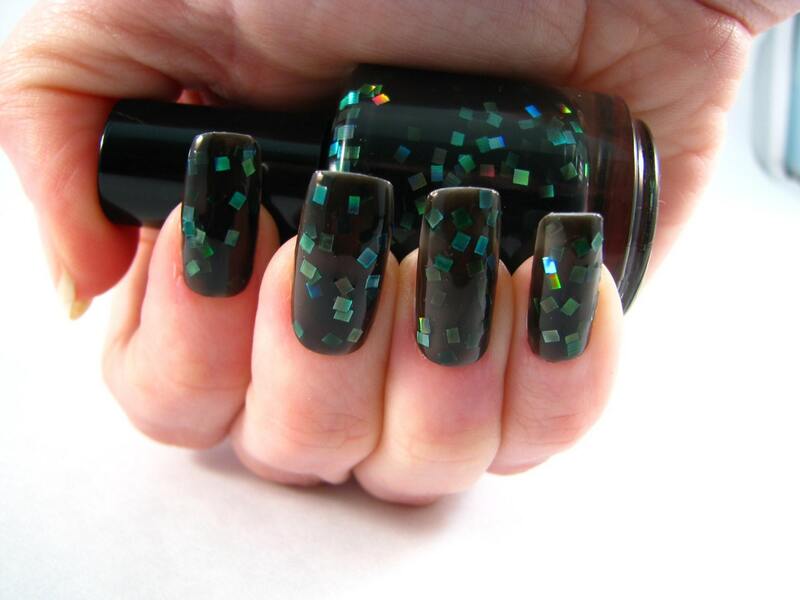 This polish features a black gel base with shimmery green squares. 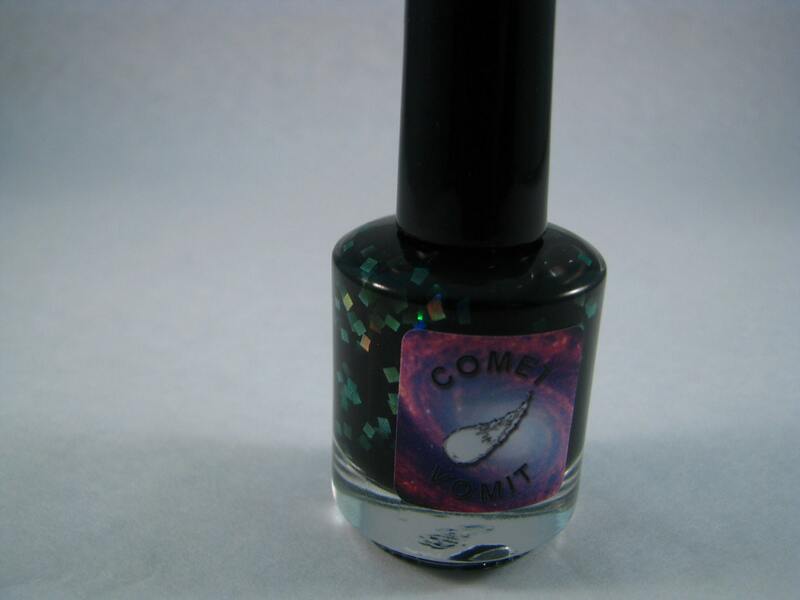 This polish looks wonderful with 2-3 thin layers to make a "jelly sandwich" or as a top coat over any color. I think this would look awesome over dark purple, black or royal blue. Pictured above I've used 2 layers and then coated generously with Seche Vite fast dry top coat. I really like this polish! My worry with this polish was that it was about getting the glitters. I'm really glad that it wasn't a problem. Beautiful polish. With drying time in between coats it is amazing. Would recommend. Shipping was quite prompt, and, as usual, the polish is wonderful! Looking forward to future purchases.